The scenery which impresses most of us is certainly that in which Nature is seen in her wild and primitive condition, telling us of growth and decay, and of the land's submission to eternal laws unchecked by the hand of man. Yet we also feel a certain pleasure in the contemplation of those scenes which combine natural beauty with human artifice, and attest to the ability with which architectural science has developed Nature's virtues and concealed natural disadvantages. To a greater extent, perhaps, than any other spot in southern England, does Bournemouth possess this rare combination of natural loveliness and architectural art, so cunningly interwoven that it is difficult to distinguish the artificial from the natural elements of the landscape. To human agency Bournemouth owes a most delightful set of modern dwelling-houses, some charming marine drives, and an abundance of Public Gardens. Through Nature the town receives its unique group of Chines, which alone set it apart from other watering-places; its invigorating sea-breezes, and its woods of fir and pine clustering upon slopes of emerald green, and doing the town excellent service by giving warmth and colour to the landscape when winter has stripped the oak and the elm of their glowing robes. Considerably less than a century ago Bournemouth, or "Burnemouth", consisted merely of a collection of fishermen's huts and smugglers' cabins, scattered along the Chines and among the pine-woods. 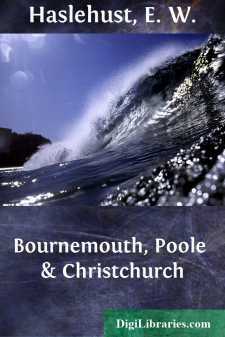 The name "Bournemouth" comes from the Anglo-Saxon words burne, or bourne, a stream, and mûtha, a mouth; thus the town owes its name to its situation at the mouth of a little stream which rises in the parish of Kinson some five or six miles distant. From Kinson the stream flows placidly through a narrow valley of much beauty, and reaches the sea by way of one of those romantic Chines so characteristic of this corner of the Hampshire coast, and of the neighbouring Isle of Wight. Besides offering the usual attractions, Bournemouth Pier is the centre of a very fine system of steamship sailings to all parts of the coast. A century ago the whole of the district between Poole on the west and Christchurch on the east was an unpeopled waste of pine and heather, and the haunt of gangs of smugglers. So great had the practice of smuggling grown in the eighteenth century, that, in 1720, the inhabitants of Poole presented to the House of Commons a petition, calling attention to "the great decay of their home manufacturers by reason of the great quantities of goods run, and prayed the House to provide a remedy". In 1747 there flourished at Poole a notorious band of smugglers known as the "Hawkhurst Gang", and towards the close of the same century a famous smuggler named Gulliver had a favourite landing-place for his cargoes at Branksome Chine, whence his pack-horses made their way through the New Forest to London and the Midlands, or travelled westward across Crichel Down to Blandford, Bath, and Bristol.